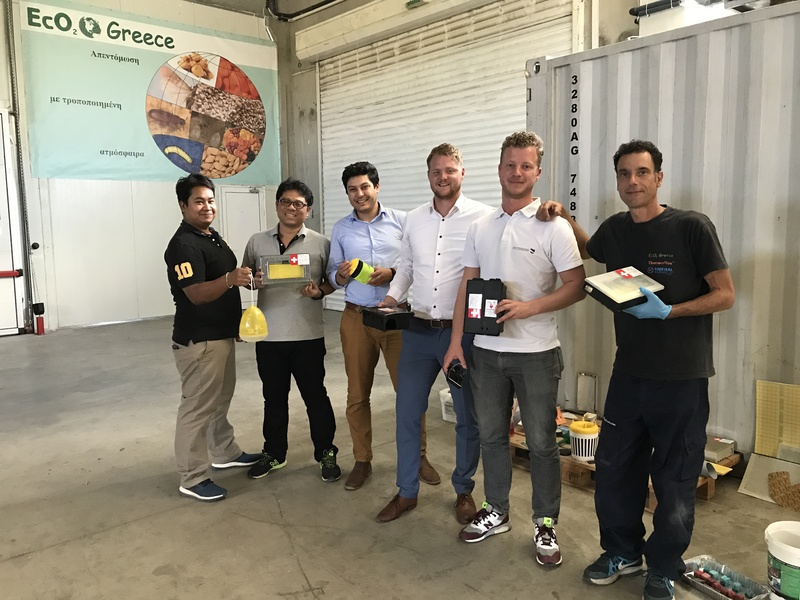 In the second week of May, Control Union colleagues from all over the globe met in Greece to participate in the first ever Peterson Pest Control Academy. Participants came from three continents, representing Indonesia, Thailand, Israel, Tunisia, the Netherlands, and Greece. The enthusiastic group also represented a variety of professional backgrounds and experience with pest control, resulting in lively discussions. The instructors covered both theory and practice, first teaching the participants about basic entomology and common pests, and then leading into hands-on practice. Speaker Christos Athanassiou taught insect biology with his diverse collection of glass-encased insects, while Hagit Navarro conducted a course on CEPA and Vasilis Sotiroudas explained target groups, sales and competition. After learning the theory, the students used the PPCA facility as a case study, creating a real IPM plan for the site and practicing setting up insect and rodent traps. They also had the opportunity to practice spraying and fogging the site using industry equipment. With the guidance of Ms. Navarro, the participants completed a full CEPA (Confederation of European Pest Management Associations) training, and they were awarded international CEPA certificates, allowing them to perform pest management audits in their respective countries. The next PPCA course, Phosphine Fumigation, will take place 10-13 July, providing an in-depth analysis into phosphine’s various applications, as well as risks, monitoring, and safety.